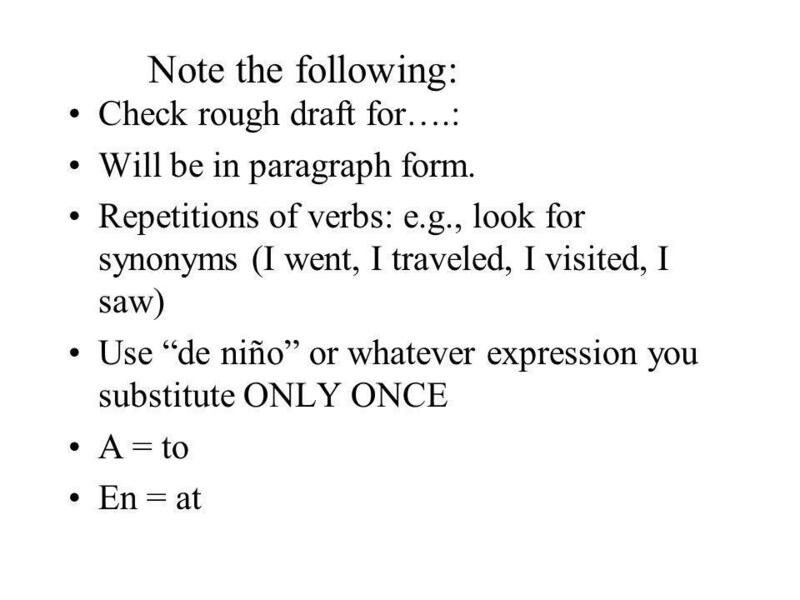 EXPAND PARAGRAPH AT LEAST 75 WORDS. Expand sentences with adjectives and phrases. Use at least 4 expansion words: cuando con quien porque donde también. 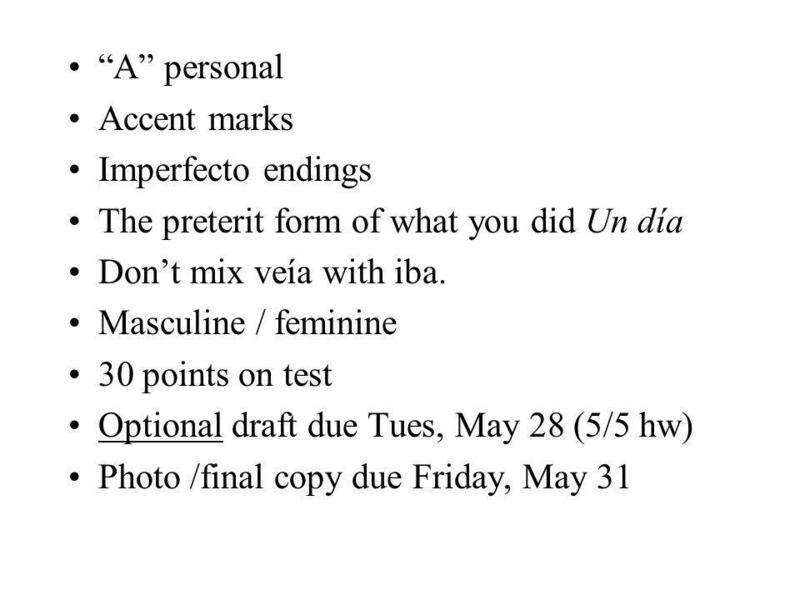 2 END PARAGRAPH WITH A SENTENCE ABOUT SOMETHING YOU DID ONCE (WHEN LITTLE). 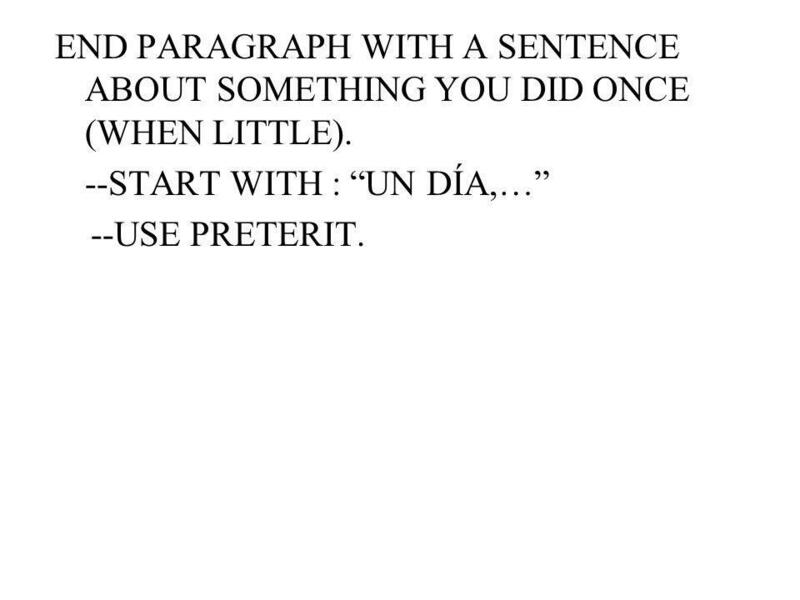 --START WITH : UN DÍA,… --USE PRETERIT. 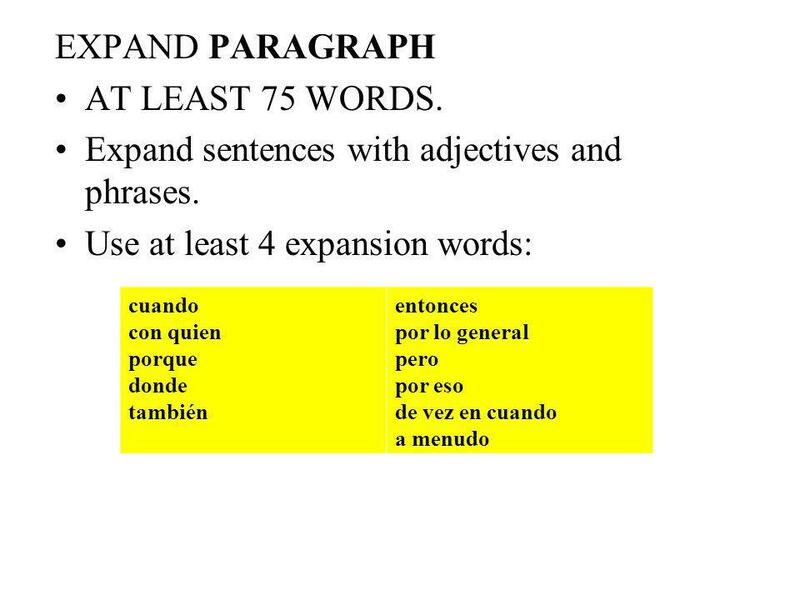 Descargar ppt "EXPAND PARAGRAPH AT LEAST 75 WORDS. Expand sentences with adjectives and phrases. Use at least 4 expansion words: cuando con quien porque donde también." Writing Definitions. Instructions Definitions should be complete and full of enough detail that one cannot mistake the word for something else. Definitions.